This fact sheet details the Home Office’s approach to immigration detention. Detention is a vital part of our immigration system but it is only used in cases where it is absolutely necessary. When someone has no right to remain in the UK they should return to their home country, and we offer practical support and advice to individuals who wish to leave voluntarily: https://www.gov.uk/return-home-voluntarily. When an individual refuses to leave voluntarily, then we will seek to enforce their return. 95% of people liable for removal at any given time are managed in the community. There are also a number of safeguards underpinning detention decisions: an internally independent a Detention Gatekeeper who reviews decisions to detain someone; regular detention reviews; and case progression panels. We are currently piloting an initiative to manage a number of women in the community, who would otherwise be liable to be detained. In December 2018, we detained 30% fewer people than in the same month the previous year. We are committed to going further and faster with reforms to immigration detention and a comprehensive cross-government programme of work is in hand to deliver on that commitment. Any decision to detain someone is reviewed by a Detention Gatekeeper who acts independently from referring and case working teams to ensure an individual’s suitability for detention has been fully assessed, and any vulnerabilities have been considered. Those detained are advised of their right to legal representation, and how that can be obtained. Detainees can also apply for bail at any time. We have also introduced a four month auto-referral for bail to the Immigration Tribunal for immigration offenders and are now piloting this at the two month point. This gives certainty to individuals that their detention is subject to further independent judicial oversight. The first duty of any Government is to protect the public. All FNOs are considered for deportation. For non-EEA nationals with a sentence of over 12 months Parliament has legislated to place a duty on the Secretary of State to deport them. In September 2016, we put in place the ‘adults at risk in immigration detention’ policy as a key part of the Government’s response to Stephen Shaw’s first review of welfare in immigration detention. The Home Secretary has committed to go further and faster with reforms to immigration detention in response to Stephen Shaw’s second review. Increasing the number of Home Office staff in immigration removal centres, so that they can work with detainees more closely. Exploring alternatives to detention – a pilot scheme to manage women in the community who would otherwise be detained in Yarl’s Wood. Greater transparency – publishing more data on immigration detention. A pilot that automatically refers detainee bail applications to the First-tier Tribunal after two months, in addition to existing of four months. Strengthening case progression panel arrangements, meaning that progression and vulnerability considerations are a key part of any decision to maintain detention. We are also exploring options for increasing independence on the panels. 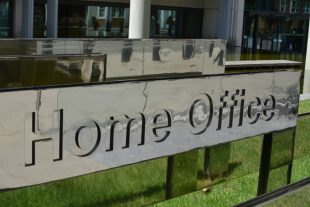 The Home Office has committed to working with charities, faith groups, communities and other stakeholders to develop alternatives to detention, strengthening support for vulnerable detainees and increasing transparency. In addition, reforms have already led to a reduction in the number of occupants per room, and will improve facilities in immigration removal centres, including piloting the use of Skype. In 2018, 92% of those detained left detention within four months and 69% in less than 29 days. We are looking closely at the issue of time limits to understand how we can have a detention system that is fair to those who may be detained, upholds our immigration policies, and acts as a deterrent to those who might seek to frustrate those policies. That’s why the Home Secretary has asked officials to look at how other countries approach this complex issue. The Home Secretary has committed to deliver a reduction in the numbers of those detained and their length of stay before removal. He has also committed to the improved welfare of detainees, further strengthening a culture that maintains the highest standards of professionalism. The closure of Campsfield House immigration removal centre is part of our ongoing modernisation work. By this summer the immigration detention estate will be almost 40% smaller than it was four years ago and of significantly higher quality.